The town of Leicester is between Middlebury and Brandon, at the base of the Green Mountains. Fern Lake, Silver Lake and the southern end of Lake Dunmore, are located in Leicester. Plenty of year-round, outdoor recreational opportunities abound in this area. Search all listings for sale in Leicester, VT below. If you have any questions or would like more information on a property - contact us. You can also sign up for a free account to save your top listings and get updates when similar listings come on the market. On the western side of Route 7, lies this 2.49 acre lot. A slight slope above the road levels out to potential building sites. Low growing brush with a few sizable trees and easy access. Owner had perc testing done several years ago and believes it was passed for conventional but that will need verification. You will never find a double-wide in better shape than this one! Beautifully landscaped with a side deck and front patio. Recently remodeled eat-in kitchen. Family room with pellet stove and crisp natural wood trim. Master bedroom with private 3/4 bathroom and a huge walk-in closet. Large two car garage with loft. Great central location between Middlebury and Brandon and close to Lake Dunmore. Year round on Lake Dunmore, easy lake access and southern facing, this in an opportunity that doesn't come up often! With 56 feet of frontage on the lake this property has dock space for all your summer toys, gravel lake bottom and is nicely tucked into the bay. This three bedroom home has tons of natural light, open floor plan with lots of windows facing the lake. Detached one car garage and additional storage. Summer is right around the corner, reserve your spot on the lake! PRICE JUST REDUCED! Superb location for a rental or commercial property, with a large lawn, circular driveway, attached garage and outbuildings. Scenic views past the split rail fence to the mountains. Convenient Route 7 location, a short drive to Brandon or Middlebury and close to Lake Dunmore. Enjoy the beauty of living year round in this private lake front home. An abundance of flower gardens that have been loveingly created through out the many years this home has been in the family color the property. Walking into this home the first thing you will notice is the beautiful lake views from almost every room with windows extending across the easterly side of this home. So many options to enjoy your morning coffee while watching the sunrise overlooking Fern Lake. With windows galore, sunroom with vaulted ceilings, screened in porch and a 44' x 16' boat dock your options are endless! The main floor features three bedrooms, two bathrooms and laundry room. Vaulted ceilings in the dining area with custom built-in china cabinets high above to feature your collectables/treasures. The finished basement could be used as an In-law apartment, guest quarters or possible rental apartment. It features an open family room with cute kitchenette, two bedrooms and a full bathroom. There is also an option for a W/D in basement. There is an installed "Superior" generator ready for those unexpected power outages. An oversized two car garage with plenty of storage as well. Fern Lake is perfect for those wanting to kayak, canoe, fish or just sit and enjoy the tranquility of all this small lake has to offer. There is a small shed to store your lake equipment in down by the water as well. This home is equipped with an ADT Security System. Only 13 miles to the town of Middlebury. .
Parcel located close to Lake Dunmore and Fern Lake. Waste water permit(WW-9-1310) and septic design for 4 Bedroom home. Lovely 2.2 acre± Lake Dunmore lot. 202' of lake frontage. Privacy. 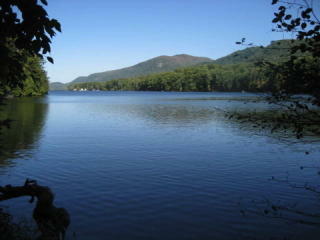 A rare opportunity to own a comfortably buildable lot on Lake Dunmore. Sellers reserve the right to approve the architecture and siting of any structure to be constructed. *This is part of a larger parcel of land. Estimated 2018 taxes based on probable assessment and current tax rate is $6,066.20. Large track of land on pristine Fern Lake. 8.9 Acres± with 657 feet of lake frontage. Wooded land on East side of Lake. Access is from Town Maintain paved road. Speed limitations allow for Paddle board, Kayaks, canoes and other quiet activities. Warm water species fishery. A rare find. Fern Lake is a small lake approximately 1 mile in lenght and has a surface area of about 69 Acres. It is located immediately South of Lake Dunmore with no connection between the two lakes. Motor boats are allowed on the lake but there is a State of Vermont 5 mile/hour speed limit. Sitting in a country setting with open fields, spectacular views of the green mountains with a small sugar wood and sugar house in the back, this custom built home features an open floor plan that allows the post and beam construction to show its character as it surrounds a massive stone chimney and waterfall. Making this home even more special is a custom built in-law apartment, which compliments the post and beam construction of the main part of the house. Absolutely gorgeous space with cathedral ceiling, open floor plan and fully equipped and with it's own entries, you would never know it was part of this beautiful home. The home also features a long paved private drive, and is sited well off the main road, offering peaceful space for family, friends and pets to enjoy the outdoors. With 2 garages and lots of space for parking several cars, boats, RV's, the yard will never feel congested. Just a few miles north is the quintessential town of Middlebury, VT, home to UVM Medical Center's Porter Hospital, the world renown Middlebury College, local breweries, shops and restaurants. This home offers many possibilities, from multi-generational living to rental options. With it's design and recreational options nearby, it would be perfect for Airbnb, where guests can explore nearby lakes and golf courses, cross country and downhill skiing, bike tours and access to snowmobile trails. You won't be disappointed in all this home has to offer. Come see where home could be! Build your dream house on this wooded two and half acre parcel with 138 feet of frontage on Fern lake--perfect for swimming, canoeing, kayaking or fishing.State approved Waste Water Permit for up to a four bedroom single family residence. House plans also available. Look out over the meadow and westerly tree line, to the amazing Adirondack view. A building lot which offers ease of access, a septic deign, electric and phone service at the road. Open space for gardens, a mini farm, and a variety of outdoor activities. A quiet place to make a home. Just a short distance to Lake Dunmore, Middlebury, and Brandon. All measurements approximate. Courtney understands that both buyer and seller parties have concerns that need to be addressed to make a sale happen. As the Buyer she represented our interests while acting as an excellent resource for all. Thank you, Courtney!